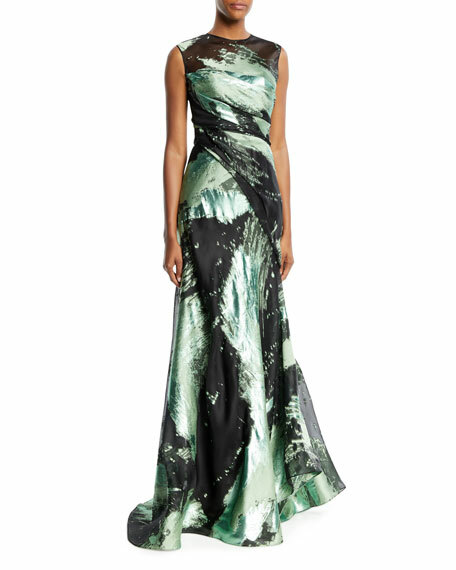 Rubin Singer draped evening gown in metallic shadow-streak jacquard. Fitted through hip; flared sweep. 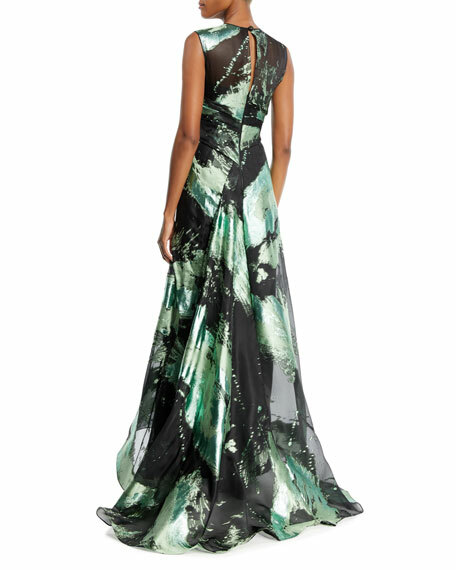 For in-store inquiries, use sku #2604742.